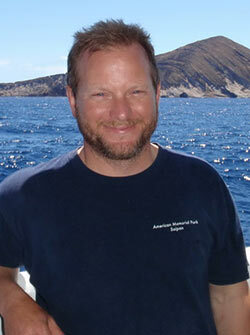 Scott has been working in the Northwestern Hawaiian Islands since 1999 as a marine invertebrate zoologist. He has documented the diversity and abundance of non-coral invertebrates in the region through collaborations with the local Hawaiian scientific community and researchers from around the globe. His specific research focuses on inventorying marine alien species and how they are introduced to the Hawaiian Archipelago. He is the Chief Scientist for the 2015 RAMP and will be leading the benthic team, which will conduct quantitative surveys of coral communities and collect data on coral health. Paula, as part of CRED’s Rapid Ecological Assessment (REA) fish team, has helped develop fish survey methods training materials and has participated during the past 9 years as an REA fish diver or fish team lead on more than 40 RAMP cruises encompassing almost 50 islands throughout the Pacific, including the main Hawaiian Islands, the Northwest Hawaiian Islands, the Marianas archipelago, East Timor, the Phoenix abcdefghijklmnopqrstuvwxyzabcdefghijklmnopqrstuvwxyzabcdefghijklmnoabcdefghijklmnopqrstuvwxyzabcdefghijklmnopqrstuvwxyzabcdefghijklmnoabcdefghijklmnopqrstuvwxyzabcdefghijklmnoabcdefghijklmnopqrstuvwxyzabcdefghijklmno Islands, American Samoa, and the Line Islands. This will be her eighth visit to the Papahānaumokuākea Marine National Monument. During this cruise, she will again lead the fish team in gathering data to characterize fish populations and benthic composition, as well as torturing her fellow scientists and crew members with her 8-minute ab® workout. Andy’s focus is on education and technology, as well as the natural and cultural history of the Northwestern Hawaiian Islands. He will be assisting the maritime heritage research team during this expedition, documenting known shipwreck sites, looking for undiscovered shipwrecks and documenting the sites of known shipwreck survivor camps on three islands. He will also be conducting video outreach from the ship to classrooms in the main Hawaiian Islands. He has visited the Northwestern Hawaiian Islands several times over the past 15 years. 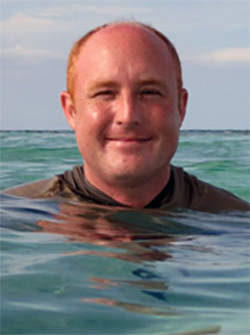 Andy has led education expeditions to the islands and atolls, and participated in research expeditions such as the 2008 CReefs Census of Marine Life expedition. Courtney is a coral disease ecologist and epidemiologist working with Papahānaumokuākea Marine National Monument and The Nature Conservancy to better understand how ecological processes and environmental change govern coral health and disease risk. As part of her postdoctoral research, Courtney is expanding and standardizing coral health and disease monitoring across a number of Big Ocean sites (such as PMNM). In 2014, Courtney and her team documented abcdefghijklmnopqrstuvwxyzabcdefghijklmnopqrstuvwxyzabcdefghijklmnoabcdefghijklmnopqrstuvwxyzabcdefghijklmnopqrstuvwxyzabcdefghijklmnoabcdefghijklmnopqrstuvwxyzabcdefghijklmnoabcdefghijklmnopqrstuvwxyzabcdefghijklmno and responded to the mass bleaching event in PMNM. This year, Courtney and her team will be revisiting sites affected by the 2014 bleaching event to assess coral mortality and recovery. They will also be conducting full coral disease assessments to determine whether the recent thermal stress has increased susceptibility to disease. Ultimately, through her work in the Monument and other regions in the Indo-Pacific, Courtney is building capacity and facilitating communication between marine resource managers and scientists to better integrate coral health into reef resilience planning. Emma joined the NOAA Ship Hiʻialakai on July 31 after spending 2 ½ months at French Frigate Shoals monitoring sea turtle populations at East Island and Tern Island. Her primary focus however was monitoring on East Island where more than 90% of the green turtles in the Hawaiian Archipelago nest, and for the last 40 years sea turtle nesting activity has been monitored during the summer nesting season. This was Emmaʻs first time in the Northwestern Hawaiian Islands and for most of the time she was camping on East Island and counting nesting green turtles at night. During the remainder of the RAMP expedition aboard the Hiʻialakai Emma will be conducting opportunistic turtle nesting monitoring at Pearl and Hermes Atoll, Kure Atoll, Midway Atoll, Lisianski Island, and Laysan Island. 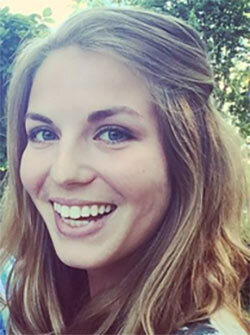 Emma just finished her Environmental Policy degree at Pitzer College outside Los Angeles, CA. Zach conducts training of new NOAA Divers and provides numerous field support roles ranging from working diver to technical diving supervisor. 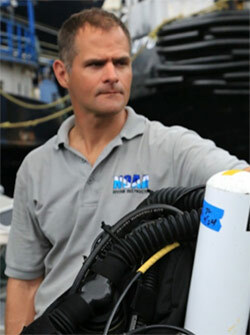 He is joining the PMNM RAMP cruise to serve as both diving and recompression chamber supervisor. During the cruise, Zach will work closely with shipboard Dive Medical Technicians (DMTs) and Diving Medical Officer to conduct dive accident management drills as well as chamber shams (a treatment drill where someone poses as an accident victim) to prepare for any diving casualties that occur as a result of research diving activities. Additionally, Zach will provide support to RAMP cruise participants by filling SCUBA cylinders and conducting predive safety briefings prior to each day’s diving activities. 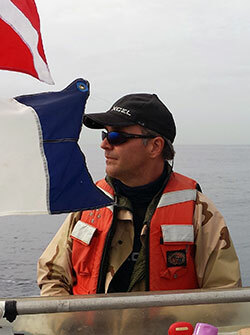 Zach has served previously as chamber supervisor for diving operations with the Monument as well as the Monitor, Thunder Bay and Flower Garden Banks National Marine Sanctuaries. As an environmental planner for Papahānaumokuākea Marine National Monument, Alyssa supports the development and implementation of plans, and oversees annual evaluations for 22 areas of Monument management. Alyssa will be applying her skills in data gathering, synthesis and analysis to her position as Data Manager on the RAMP expedition. She will also be assisting the expedition's Education Coordinator in producing content to share with a variety of audiences. abcdefghijklmnopqrstuvwxyzabcdefghijklmnopqrstuvwxyzabcdefghijklmnoabcdefghijklmnopqrstuvwxyzabcdefghijklmnopqrstuvwxyzabcdefghijklmnoabcdefghijklmnopqrstuvwxyzabcdefghijklmnoabcdefghijklmnopqrstuvwxyzabcdefghijklmno Alyssa has previously traveled to other remote islands in the Pacific but this is her first expedition to the Monument, and her first experience aboard a research vessel. Hadley is a NOAA Corps officer who joined up with the Monument team in May 2014. Her responsibilities include maintenance and operation of the Monument’s four small boats. 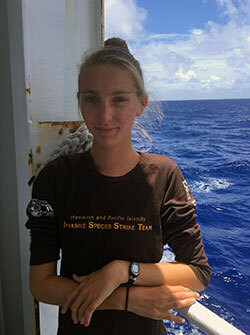 This is her second time joining the RAMP expedition, for which she will be serving as coxswain and dive support. 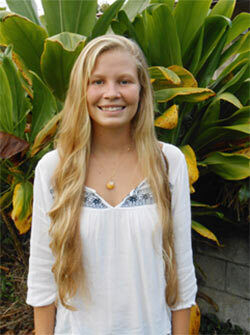 Kailey is currently an undergraduate student at the University of Hawaiʻi at Hilo and will be receiving her B.S. in marine science. 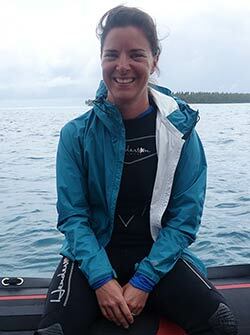 She has dedicated much of her time conducting benthic surveys with a primary focus on assessing coral health. She will be joining the RAMP cruise as a benthic coral diver, during which she will be monitoring and assessing coral health and disease. This will be Kailey’s first time to the monument. 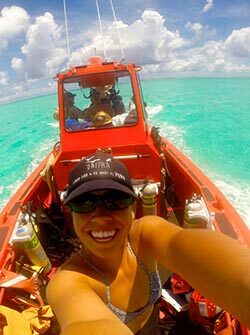 Melissa is a Master’s Candidate at East Carolina University and, for the first time, joins the RAMP 2015 research expedition in Papahānaumokuākea Marine National Monument. 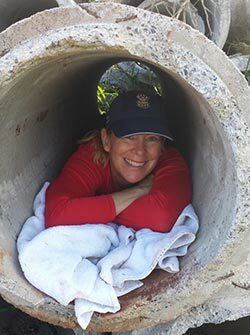 She joins a small maritime archaeology team to investigate known shipwreck sites, search for new sites, and make landfall to search for shipwreck survivor camps. This is Melissa's first trip to Hawaiʻi and she looks forward to working with a cross-disciplinary team and diving in the Pacific. 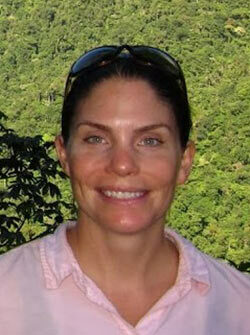 Her research interests include Spanish colonial shipwrecks in the Caribbean and Florida, cultural resource management, and public outreach. Kalani is working to integrate traditional Hawaiian knowledge and methodologies with modern science and conservation practices to support collaborative marine conservation projects with TNC, OHA, NOAA and other agencies, local groups and communities throughout Hawaiʻi. He is a member of the PMNM Cultural Working Group and is currently working with OHA to develop the Native Hawaiian Plan and the cultural abcdefghijklmnopqrstuvwxyzabcdefghijklmnopqrstuvwxyzabcdefghijklmnoabcdefghijklmnopqrstuvwxyzabcdefghijklmnopqrstuvwxyzabcdefghijklmnoabcdefghijklmnopqrstuvwxyzabcdefghijklmnoabcdefghijklmnopqrstuvwxyzabcdefghijklmno curriculum for the Resource Monitor Program managed by USFWS. 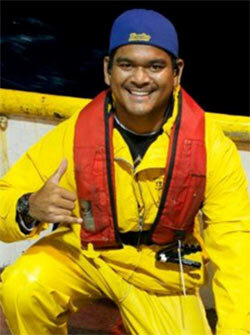 Kalani is joining the RAMP expedition as a diver to collect data on the abundance and distribution of reef fish. His observations will further his efforts focused on Hawaiian language revitalization through vocabulary development of scientific terms and unnamed Hawaiian species. Kalani has recently traveled to Nihoa and Mokumanamana on an expedition supported by the Office of Hawaiian Affairs, and led by Hawaiian archaeologist and anthropologist, Kekuewa Kikiloi. Kalani looks forward to continuing the journey through ancestral spaces on his first RAMP cruise. – ʻAu i ke kai! Jason Raupp is a Research Fellow in the Department of Archaeology at Flinders University (South Australia). He recently completed a PhD at Flinders and his dissertation research focused on early nineteenth century pelagic whaling and the industrial aspects of two American whaleships wrecked in Papahānaumokuākea Marine National Monument. Jason is joining the RAMP cruise as a member of the Maritime Heritage Team and his role will be to assist with archeological abcdefghijklmnopqrstuvwxyzabcdefghijklmnopqrstuvwxyzabcdefghijklmnoabcdefghijklmnopqrstuvwxyzabcdefghijklmnopqrstuvwxyzabcdefghijklmnoabcdefghijklmnopqrstuvwxyzabcdefghijklmnoabcdefghijklmnopqrstuvwxyzabcdefghijklmno surveys, site recording, and data analysis. This is Jason’s fifth research cruise to the Monument. Julia is a student intern diver on the Fish Team for this year’s RAMP cruise. She will be working with a team to conduct fish surveys around the Northwestern Hawaiian Islands, collecting data to support monitoring and research within the Monument. She will also be completing a project in the fall using data she collected to compare fish habitat use in the Main and Northwestern Hawaiian Islands. This is Julia’s first expedition to the Monument. Welina mai me ke aloha nui! Born and raised in Lahaina, Maui, Kanoe is a recent graduate from UH Hilo and obtained a BS in Marine Science & BA in Hawaiian Studies. She is currently pursuing a K- 12 teaching certficate through the Kahuawaiola Indigenous Teacher Education Program while also working with Dr. M. Takabayashi at UH Hilo. Kanoe has been involved in various research projects as a scientific diver focusing on abcdefghijklmnopqrstuvwxyzabcdefghijklmnopqrstuvwxyzabcdefghijklmnoabcdefghijklmnopqrstuvwxyzabcdefghijklmnopqrstuvwxyzabcdefghijklmnoabcdefghijklmnopqrstuvwxyzabcdefghijklmnoabcdefghijklmnopqrstuvwxyzabcdefghijklmno coral health and coral community structure to better understand coral reef function. On this year's 2015 RAMP cruise, she will be producing 3D models of coral reef habitat at long-term monitoring sites as well as conducting coral disease surveys alongside HIMB researchers. This is Kanoe's second time to Papahānaumokuākea on the RAMP expedition and she is stoked to be able to return to these ʻāina kūpuna. Jamie investigates how infectious diseases spread in the ocean and she is currently focusing her efforts on understanding the spread of several infectious coral diseases across the Hawaiian archipelago for her dissertation research. She will be conducting underwater visual surveys to monitor coral reef health to document signs of bleaching, diseases and macroalgal overgrowth. 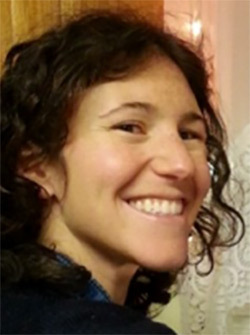 She will use this data to inform forecasting models of coral disease outbreaks using satellite abcdefghijklmnopqrstuvwxyzabcdefghijklmnopqrstuvwxyzabcdefghijklmnoabcdefghijklmnopqrstuvwxyzabcdefghijklmnopqrstuvwxyzabcdefghijklmnoabcdefghijklmnopqrstuvwxyzabcdefghijklmnoabcdefghijklmnopqrstuvwxyzabcdefghijklmno imagery. This is Jamie’s second cruise conducting coral health surveys in the Monument and her first RAMP cruise. She is very excited and honored to be welcomed back to the Monument. 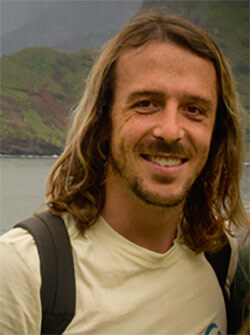 Chris is a graduate researcher at the University of Hawaiʻi at Mānoa in the Laboratory of Dr. Ruth Gates. Chris’ research focuses on the physiological ecology of reef corals and their symbiont algae (Symbiodinium spp.) and the factors that contribute a coral’s resilience to environmental stress. Chris is joining the RAMP expedition to study the energetics and trophic ecology of the coral Montipora capitata across the Papahānaumokuākea Marine National Monument. abcdefghijklmnopqrstuvwxyzabcdefghijklmnopqrstuvwxyzabcdefghijklmnoabcdefghijklmnopqrstuvwxyzabcdefghijklmnopqrstuvwxyzabcdefghijklmnoabcdefghijklmnopqrstuvwxyzabcdefghijklmnoabcdefghijklmnopqrstuvwxyzabcdefghijklmno In addition, Chris will be working with NOAA and Hawaiʻi Institute of Marine Biology scientists to assess the ecological impacts of an extensive coral bleaching event that spanned the Northwestern and Main Hawaiian Islands in 2014. This is Chris’ first expedition to the Monument. During his research cruise, Chris will be sharing photos and research updates from the Hiʻialakai care of his website and blog COR(AL)OHA (www.coraloha.weebly.com). Rebecca studies Marine Biology and is involved in the Marine Option Program, the Honors Program, and the Dive Safety Office at the University. 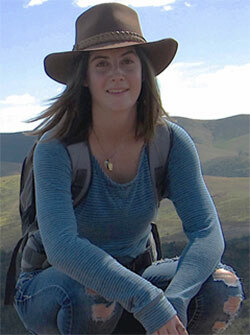 She is joining the RAMP expedition as an intern who will be conducting fish surveys. Rebecca has always been interested in the NWHI and how their ecosystem differs from the MHI. She will be developing a research project with the data collected from the expedition and will be presenting her project to NOAA offices and the Marine abcdefghijklmnopqrstuvwxyzabcdefghijklmnopqrstuvwxyzabcdefghijklmnoabcdefghijklmnopqrstuvwxyzabcdefghijklmnopqrstuvwxyzabcdefghijklmnoabcdefghijklmnopqrstuvwxyzabcdefghijklmnoabcdefghijklmnopqrstuvwxyzabcdefghijklmno Option Program. This will be her first time on a RAMP cruise and she is very excited to meet everyone and learn so much! 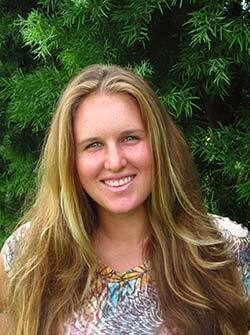 Tate is an undergraduate at the University of Hawaiʻi-Mānoa Marine Biology Program. He is the student coordinator for UH’s Marine Option Program, for which he organizes marine related field trips and activities and assists with the scientific diving field schools. Tate also works at the Kuakini Hyperbaric Treatment Center as a care provider, going on dives in the hyperbaric chamber to attend to patients. 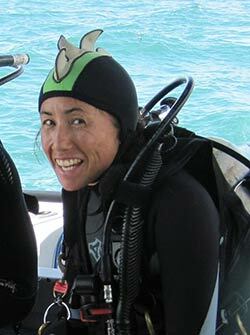 Tate plans to pursue a Master’s Degree at the University of Hawaiʻi studying the fish communities associated with artificial reefs, shipwrecks and submerged cultural heritage sites in Hawaiʻi to determine the ecological roles of these structures. 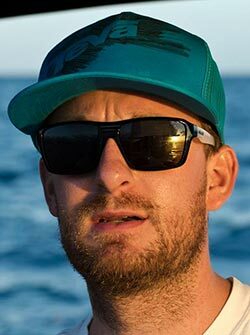 For this expedition, Tate will be a scientific diver on the fish team researching the differences in fish species composition between the Main and Northwestern Hawaiian Islands. This will be Tate’s second time to the Monument.